The meeting will start promptly at 6:00pm. 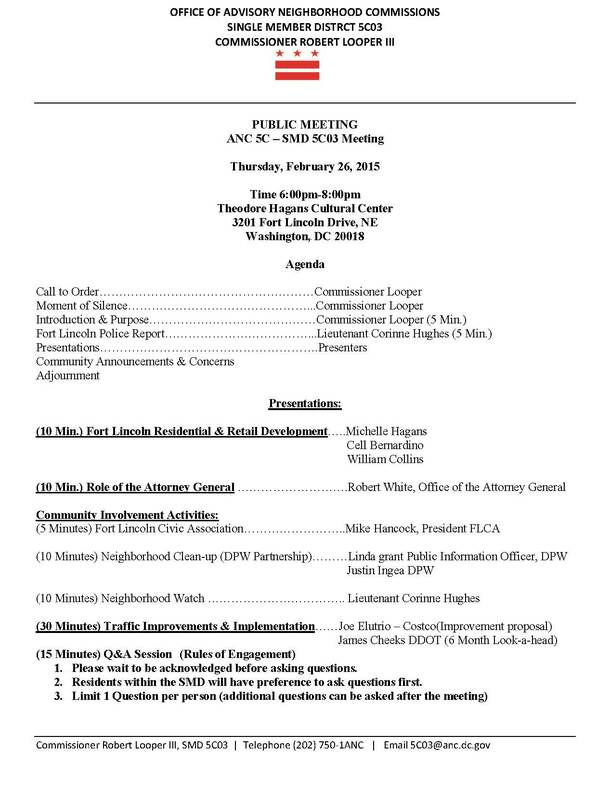 This meeting is intended for the residents of Fort Lincoln. Seating is limited and on a first come first serve bases. Will you be able to summarize what was said regarding upcoming retail and residential development? Thanks very much! Lowes to turn over 4th Qtr. this year. Dicks, Marshall’s, and Pet Smart 3rd quarter next year. Smaller retail to follow, no grocery store planned currently. Anything on Cityscape? For all the earth moved around, surprised that neither NV or Ryan seems to have anything on it yet.